IDEA Dealer Accreditation is provided to dealers who have demonstrated a high commitment to quality and exceptional level of knowledge in a variety of facets of the door and access systems industry. By choosing an IDEA Accredited Door Dealer, consumers can have confidence that the dealer is among those who have completed a six-part course, passed rigorous examinations and provided other documentation items documenting quality business practices. There are no restrictions on who may install or service a fire door. That does not mean that technician expertise isn't an essential element of a safely and properly functioning fire door. IDEA has established a program to validate the credentials of individuals who have experience and skills in the installation and service of Rolling Steel Fire Doors. The International Door Association’s primary mission is to provide programs and services to door and access systems dealers, for the express purpose of enhancing their value and professionalism. Mountain Air Garage Door is proud to be a top-rated CHI 5-Star Distributor. We were awarded Silver, Gold and Ruby from CHI Overhead Doors. 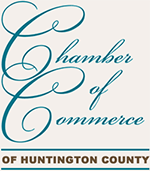 The Chamber is responsible for smaller economic development, business retention, community and legislative forums, continuing education through Life Long Learning, educational seminars for business leaders/staff, and continually working to improve the quality of life for the citizens of Huntington County. It offers events and programs each year to “grow” a successful business and enrich a community. The Builders Association of Central Pennsylvania has a long and rich history, serving the building industry of Centre County since 1957. The BACP is a not-for-profit organization representing builders, developers, and remodelers, as well as other professionals, suppliers and related trades associated with the housing industry.